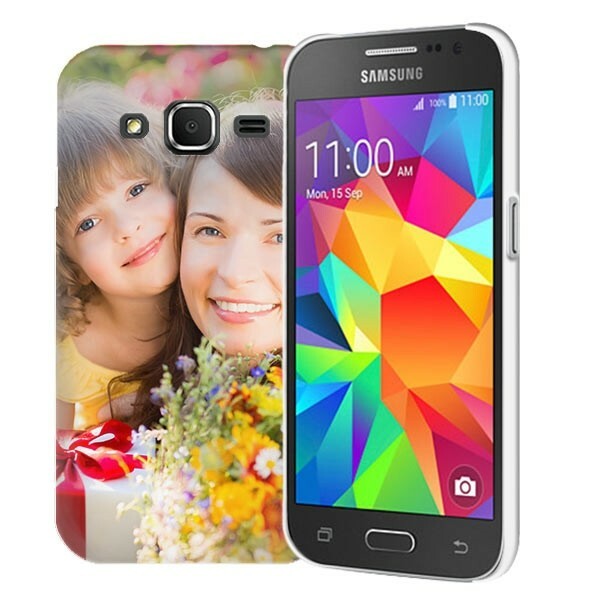 Create a gorgeous phone case for your gorgeous Samsung Galaxy Core Prime. Custom to perfection, entirely by you! Upload a photo and finish off your Prime case within minutes. The Samsung Galaxy Core Prime hard case from GoCustimized has been designed to give your phone a unique look, feel and most important of all, a high level of protection. The case is designed to ensure that all your buttons and access ports are easily accessible. Your design will be printed on the back of the case. 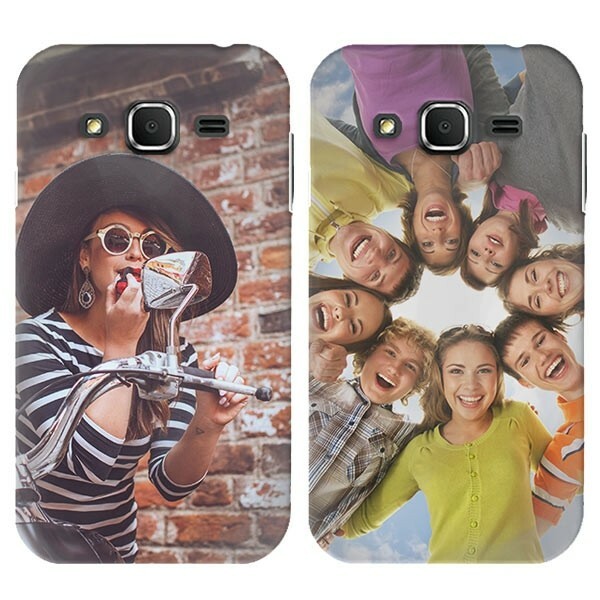 GoCustomized uses only the best materials in both our cases and print. Let your creativity go and make the best Samsung Galaxy Core Prime case on this planet. If the hard case is not the type of case you are looking for, check out our other custom Samsung Galaxy Core Prime cases! Because we want to make this process as easy and enjoyable as possible, we developed a great tool with which you will be designing your custom Samsung Galaxy Core Prime case. In our design module, you will first have the option to choose a base color. The base color is the color that remains visible on the sides of the case. Secondly, you will be able to upload an image file straight from your PC, tablet or smartphone in addition to your Facebook & Instagram accounts. Be sure to upload a high quality, high resolution image. The better the image used, the better the end result will be. You have the option to add a little personal text. This is great for gifts or cases of a loved one. Once you have completed your design, give the case a good look over. You can add this case to your cart and decide to make another design. Once finished you can pick the one that best suits you! As mentioned earlier, we ensure that your case is on its way to you within 24 hours of purchase. If you have any questions regarding your order, please feel free to contact us at Support@gocustomized.com.